At IBI we offer site surveys that will help us provide the best possible service. Through experience providing plants with surveys and reports, highlighting problems and offering solutions with products and advice before a breakdown occurs which can stop the plant from running or incurring extra labour costs such as cleaning, spillages and unplanned maintenance thus making them run longer and more efficiently. Fitting products such as our anti-spill cradles and impact cushions at the loading area will help influence the cost per ton of material through the plant. 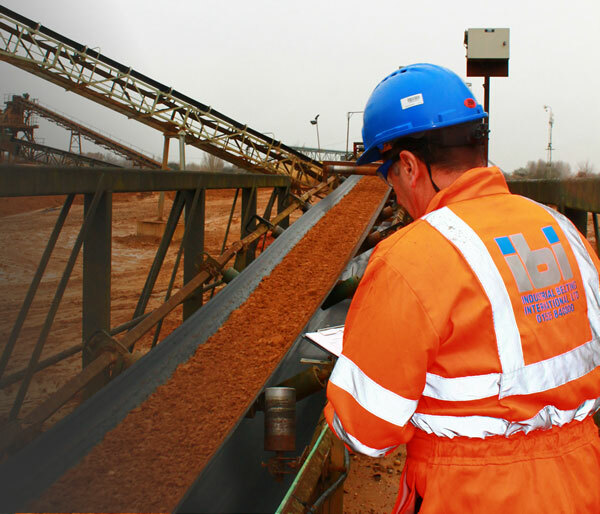 The site surveys that we provide highlight any issues that the site may have helping reduce costs, downtime and wastage. Our rollers, impact cushions and anti-spill cradles are unique designs which are patented, the anti-spill cradles reduces spillage so that there is minimal wastage or loss of product. Our impact cushion helps increase belt life, when a heavy load is dropped onto the belt it absorbs the pressure thus reducing belt damage. Our customer sites have their own individual file containing all relevant information which appertains to each site. If there are any problems that require immediate attention, our computer and paper records can give us accurate and precise information.